The Lower Modernisms – 060. Mexican, Polynesian-Style. 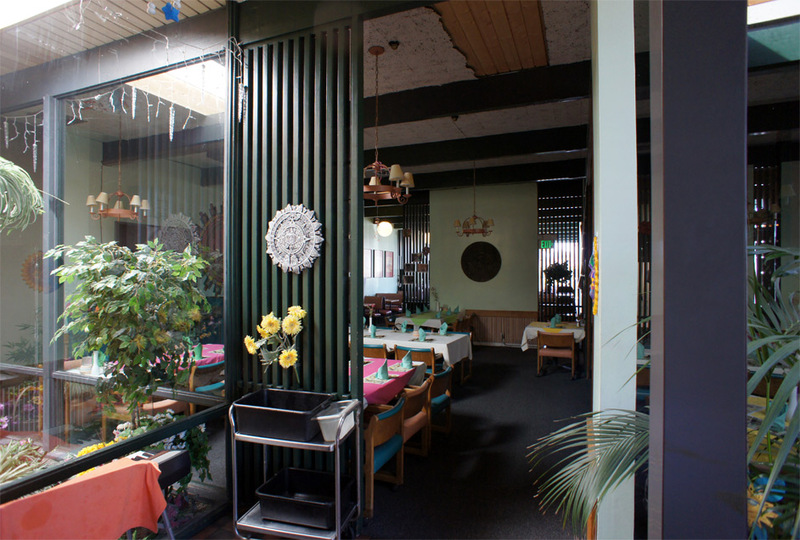 Lomo Featured Project: Arturo’s Mexican Restaurant. July 5, 2014 by James Black. 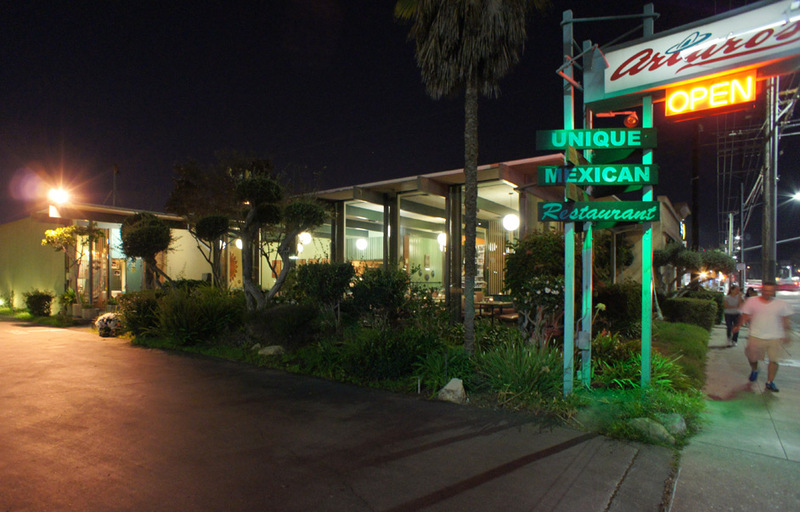 Arturo’s Mexican Restaurant, located in the Harbor City neighborhood of Los Angeles at 25720 S. Western Avenue near Pacific Coast Highway, dates to 1960. 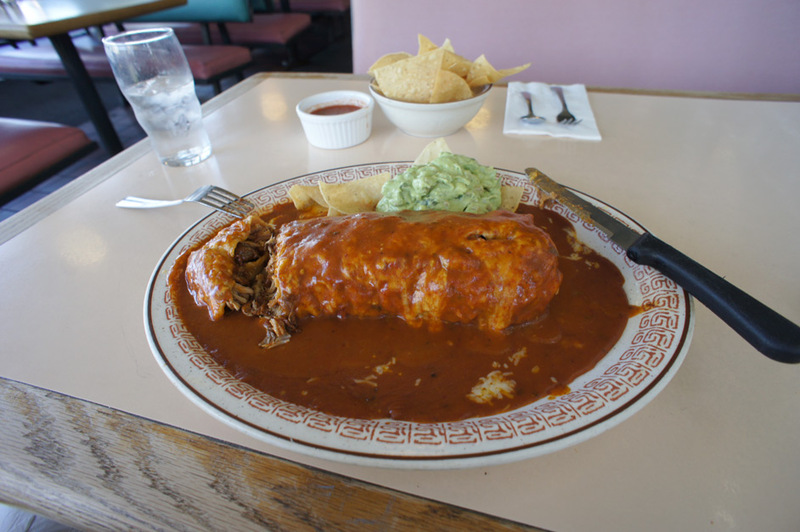 The menu is that of a margarita-slinging family restaurant, and in keeping with 54 years of standing, it offers the kind of old-school, cheese-drenched options often called “gringo” or “Tex-Mex” in contrast to lighter, regional Mexican fare. 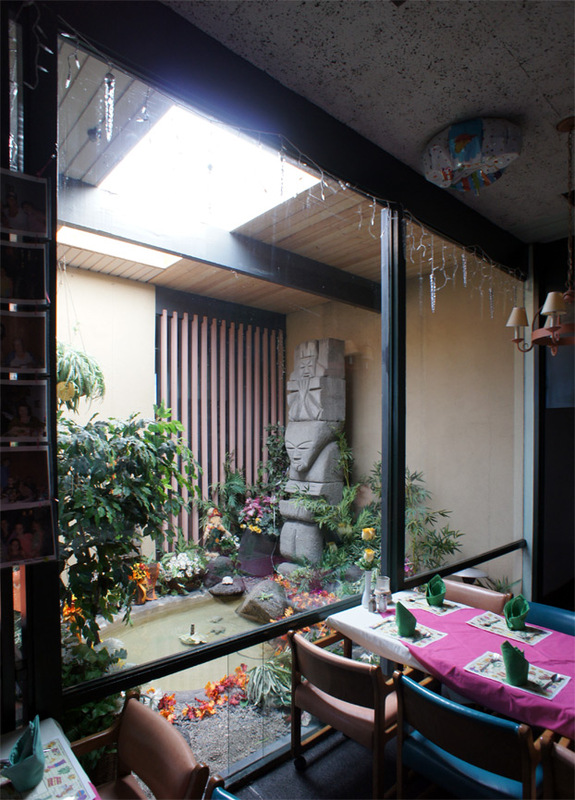 Stylistically, however, Arturo’s does not follow the revivalist Mission or Rancho styling of other traditional Mexican family restaurants such as El Cholo or El Carmen; the architecture is straight-up, post-and-beam Modernism. Arturo’s has been identified in the Los Angeles Conservancy’s “Curating the City” database, and in the description on the Arturo’s entry, Chris Nichols is quoted stating that “It’s like eating Mexican food in a Case Study house.” From a construction technology standpoint, Arturo’s is a perfect match to the masterful post-and-beam custom homes designed by a number of practitioners at that time; I am dying to know who the architect was, but have not had a chance to put in a permit search request with the City. 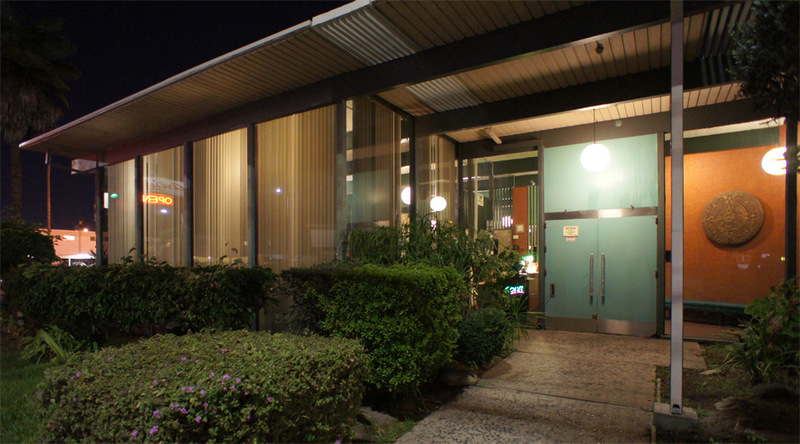 What makes Arturo’s Lower Modern and keeps it out of the mainstream architectural history books is its programme. 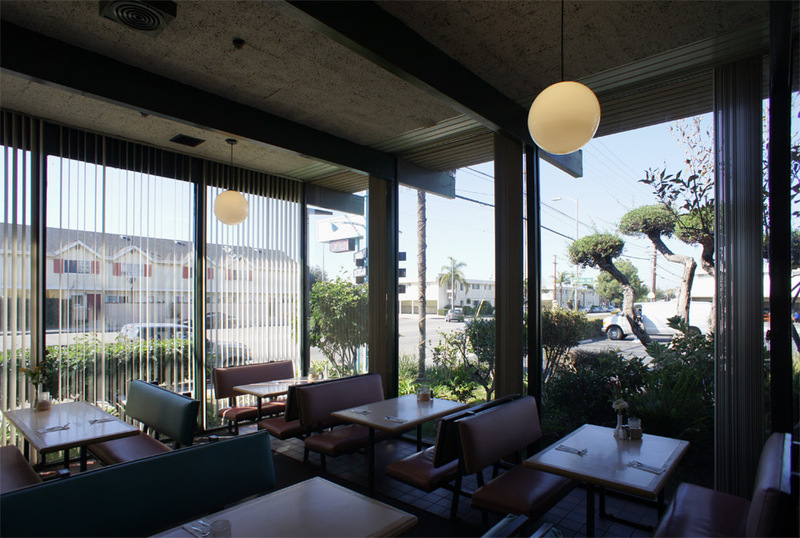 It is not merely the fact that there are no Mexican restaurants welcomed into orthodox histories of Modern Architecture; although Arturo’s architecture is pure, its interior decor makes concessions to its programme – by the deployment of festive, Mexicanizing decoration – that put it at odds with the conventional Modernist rejection of ornament. This is an architecture of fantasy, if somewhat mildly. Arturo’s from the exterior has the scale and massing of a somewhat oversized custom home, albeit flanked by a large asphalt parking lot. The well kept landscape is exotic and consistent with the mid-Century aesthetic, with trimmed “Dr. Seuss” trees revealing a Japanese influence and filtering the view out to the parking lot and street. The evening image highlights the transparency of Arturo’s glazed walls, as it glows lantern-like from within from rows of hanging globe lamps. The signage component is vaguely constructivist, with individual components cantilevered from its equilateral triangle of posts. The photo gives a deceiving impression that there is pedestrian activity on this stretch of Western Avenue. The approach from the street shows off the characteristic elements of a refined post-and-beam domestic architecture – in its quality and details this is a high-modern style, but the fact that it is a Mexican restaurant on a suburban strip keeps it out of the history books. The cantilevered edge of the roof planks expresses light weight and thinness. A couple of 18″-wide sections of plank are replaced with a frame of open 2×2 slats, allowing daylight to filter through to the entry area. The concrete paving is dashed with river rock for texure, and divided into panels by redwood headers. The doors, whose oversized pulls are worked to look like ancient cast silver, are detailed with a matching transom so that they fill out a whole panel. The color selections of the turquoise doors against the burnt sienna textile-covered wall beyond are convincing, stylish and possibly original. Plain panels of painted drywall were eschewed where possible, and the front entry is flanked by a textile-covered wall and dividers of 2x grills painted in dark colors that have a Japanesey feel. The designers of Arturo’s were not afraid of decoration. 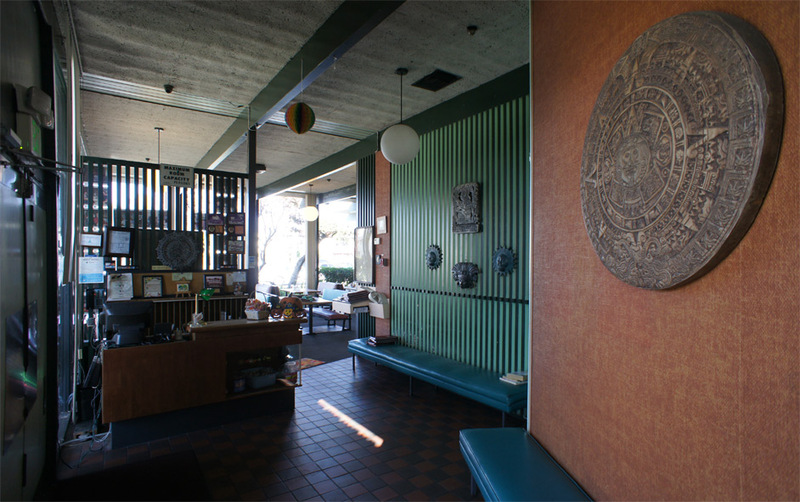 Tokens of Pre-Columbian Civilization, including statuettes and a giant aztec medallion on the textile-covered wall at the entry, are scattered about after the fashion of the Tiki bars and restaurants that were going up contemporaneous with Arturo’s. The Arturo’s approach to decoration deploys an atypical, subjective vision of Mexico, in the same way that a Tiki bar uses the Polynesian, to evoke a mood of exotic tropical otherness associated with leisure and pleasure. Although the decoration contrasts with the clean lines of the architecture, it echoes the eclectic collections of objects often featured in Modernist homes such as that of Charles and Ray Eames. 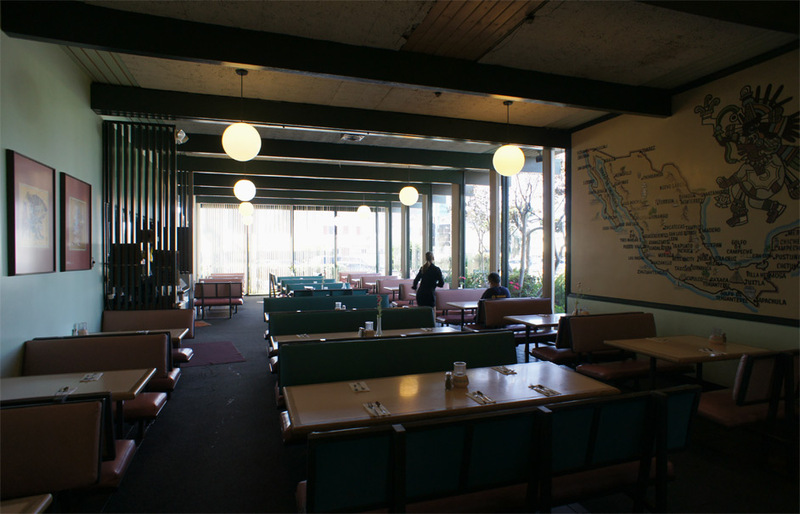 The vast, naturally lit dining room is designed for large crowds and family fun, and seems to recede infinitely to the horizon; it was however inauspiciously deserted on a recent Saturday at 2:00 PM. Tall expanses of glass fill in the post-and-beam frame, secured with the most minimal glazing stops, fostering an image of transparency and a sense of openness and interconnection with the exterior. Indirect light floods the room before the sun swings around in the afternoon to blaze through the west-facing windows along the street. The glass dies almost seamlessly into the plank roof. Beam framing spans one way, tied only by the planks in the other, contributing to the lightness of appearance. The suspended globe lamps are another move from the post-and-beam residential playbook. Visible here where the acoustic tiles have peeled away is the clear finish of the ceiling planks; undoubtedly, at one time the entirety of the ceiling consisted of these exposed clear-finish planks, but the acoustic tile was added to quiet the space at the expense of its beauty. 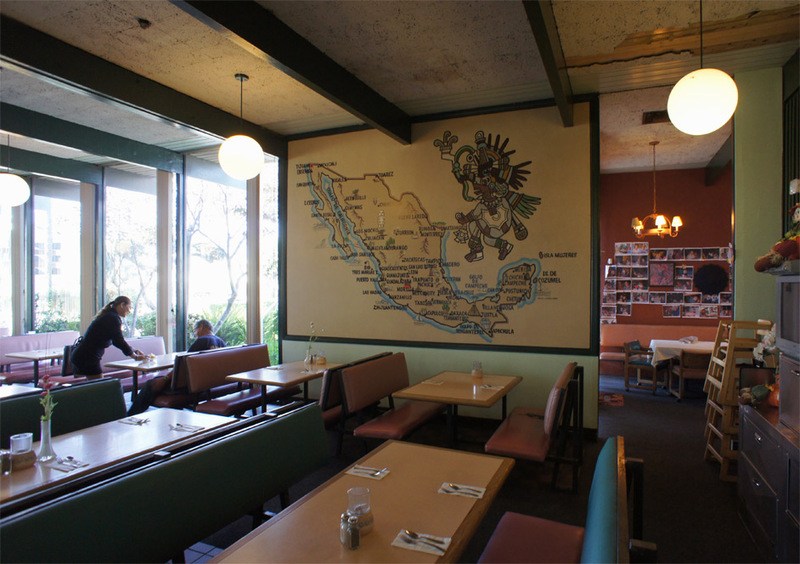 The mural-map of Mexico recalls the maps of Hawaii often featured in Tiki bars and restaurants, and in contrast with the vaguely agricultural imagery of rancho and pueblo pursued in typical Mexican family restaurants, this map is rendered in such a way to emphasize Mexico’s coasts. Arturo’s conjures an image of Mexico that is less about the comforts of home on the ranch and more about the exoticism of the foreign land. Fabricated from steel tubes and angles, the unique custom furniture is a Modernist reimagining of the banquette, providing comfort while shunning the heavy, floor-hugging aspect of traditional furniture. The floor is carpeted, except directly beneath the seating areas; I suspect the carpet was another acoustically motivated afterthought. 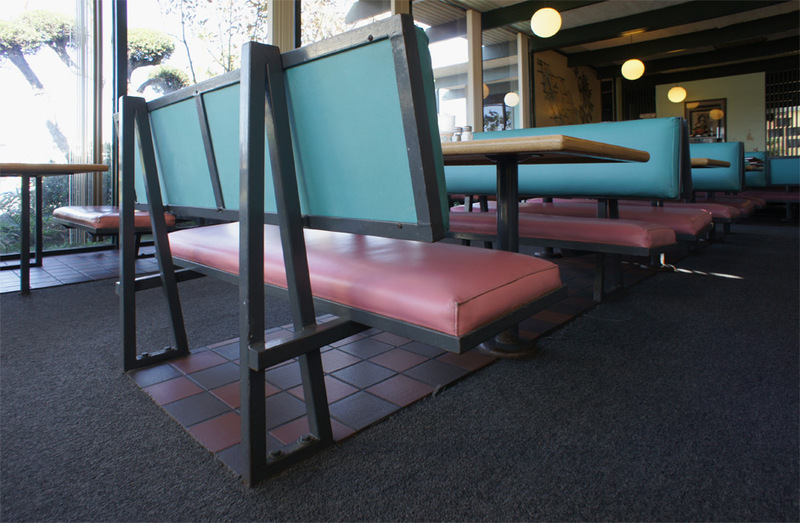 At the entrance to Arturo’s, I was 100% on board with the turqoise door and burnt-sienna wall fabric color scheme; but by this point the tile and vinyl upholstery selections are a little less convincing. It might be a stretch to call an all-meat burrito another manifestation of the Modernist ethos, but it is pretty exciting to see such a large burrito filled with nothing but straight carnitas, and high-quality stuff at that, exhibiting a rich porky flavor and combining tenderness with crisp edges. I opted to have my burrito served “wet” and it came on a heavy, vintage, oven-warmed plate that I was warned not to touch. 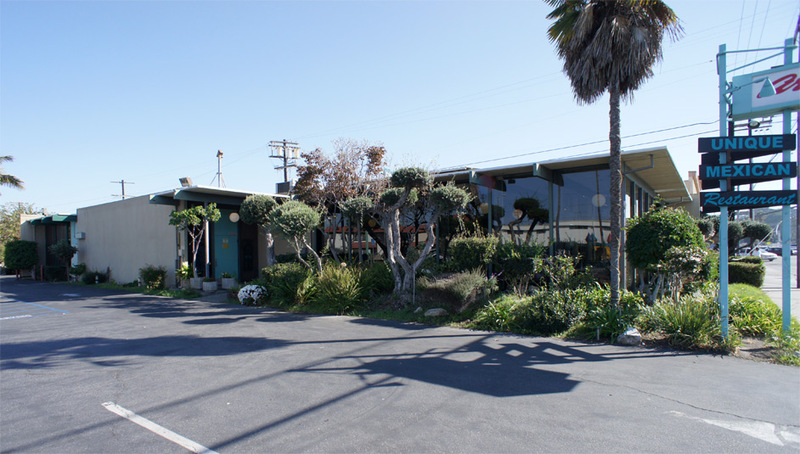 The rear of this large restaurant is broken up into smaller, interconnected areas. A garden light court, reminiscent of that at the center of the “square donut” Eichler homes, brings the outdoors into the space. This inaccessible light court contains a Pre-Columbian tiki idol and a pool, elements of the Polynesian Gabled style on loan. An orphaned party balloon clings to the ceiling, looking forlorn but suggestive of more festive times in the recent past. 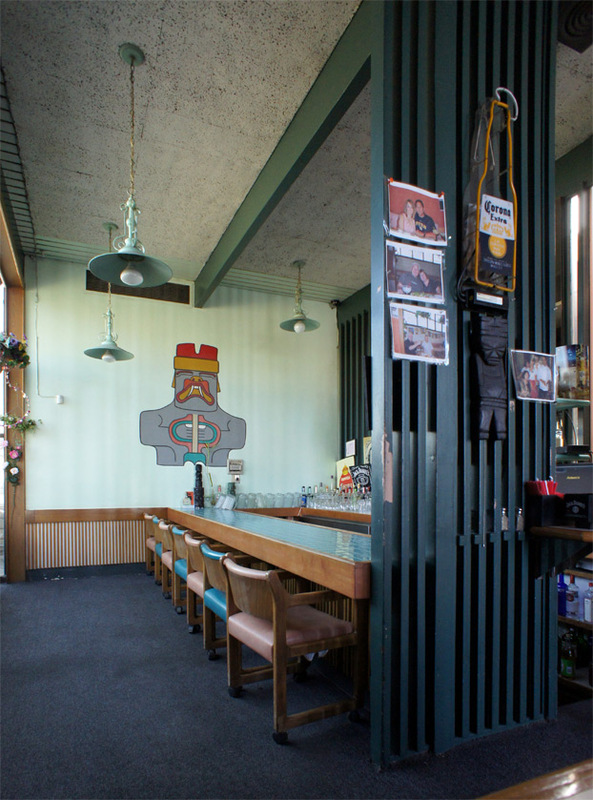 This compact bar is situated beyond the light court; just add margaritas and revelers.